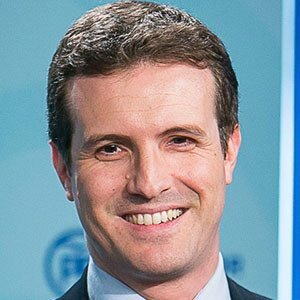 Politician who began serving as the Peader of the conservative Spanish party known as the People's Party in 2018 after having served as the group's Vice Secretary-General of Communication for the previous three years. He joined the Congress of Deputies representing Ávila in 2011. He studied law at the Universidad Pontificia Comillas in Madrid, Spain. He became embroiled in controversy when it was revealed that he had falsely claimed to have earned a postgraduate degree from Harvard University. He married Isabel Torres Orts in 2009. He has been a vocal critic of the late Spanish dictator Francisco Franco.